The DB22 is a beautiful piece of modern haute horology from Swiss watchmaker De Bethune. De Bethune was originally founded 9 years ago, and since then has already produced 11 in-house calibers, resulting in 9 patents. 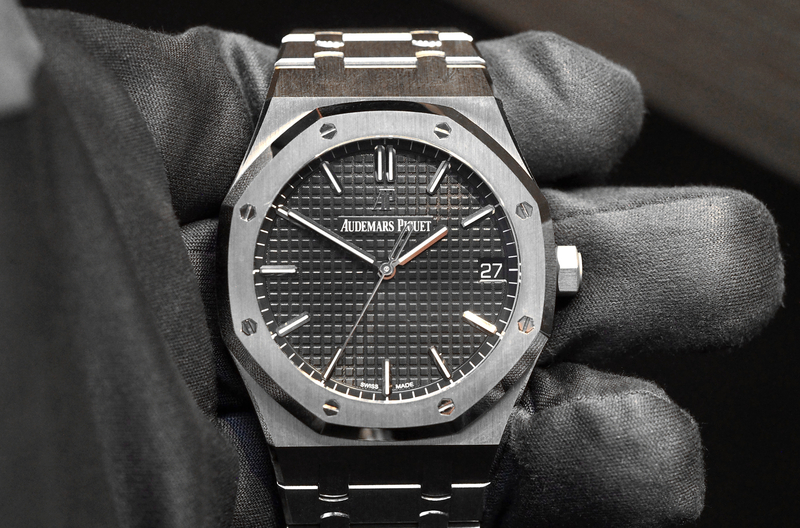 This is an impressive feat for any watch brand, especially one of this size. 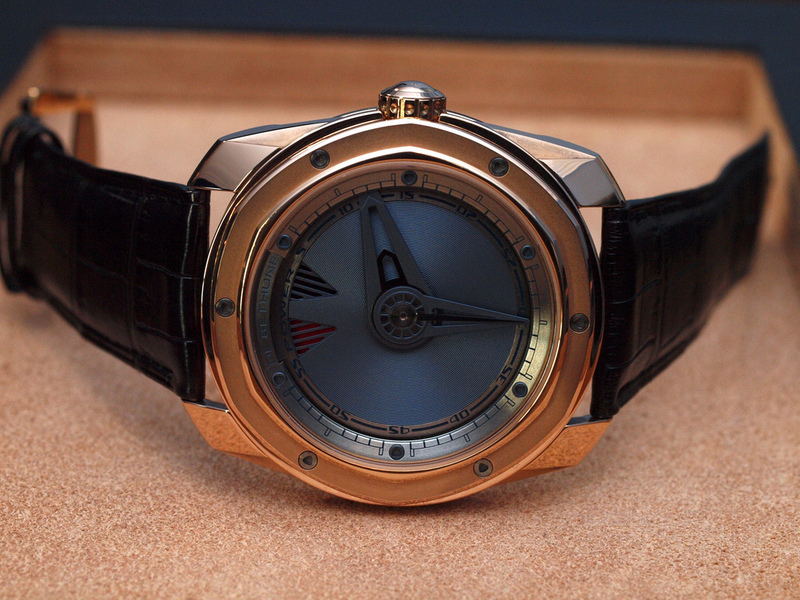 The De Bethune DB 22 is available in a rose gold or titanium case, with either a grey, blue or black dial. The case is 48 mm in diameter and 10 mm thick with integral lugs. The dial is titanium with “microlight” decoration (similar to guilloche) and a power reserve indication at 12. 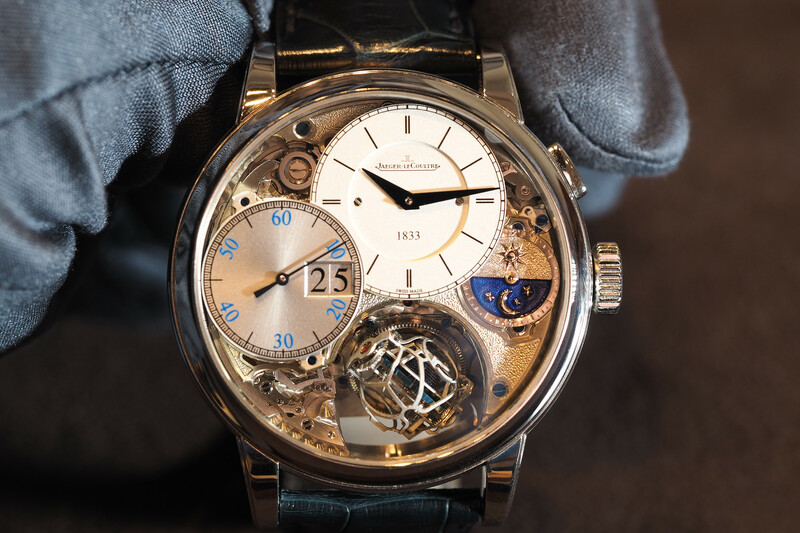 The hour and minute hands are skeletonized (with no seconds hand). The sapphire crystal on dial and caseback both have double-sided anti-reflecive treatment. The automatic movement is caliber DB 2024, consisting of 274 components, 49 jewels and an impressive 6 day power reserve. Every part is immaculately finished, including hand-decorated pearlized and snailed, hand-chamfered and polished steel parts, Côte De Bethune. 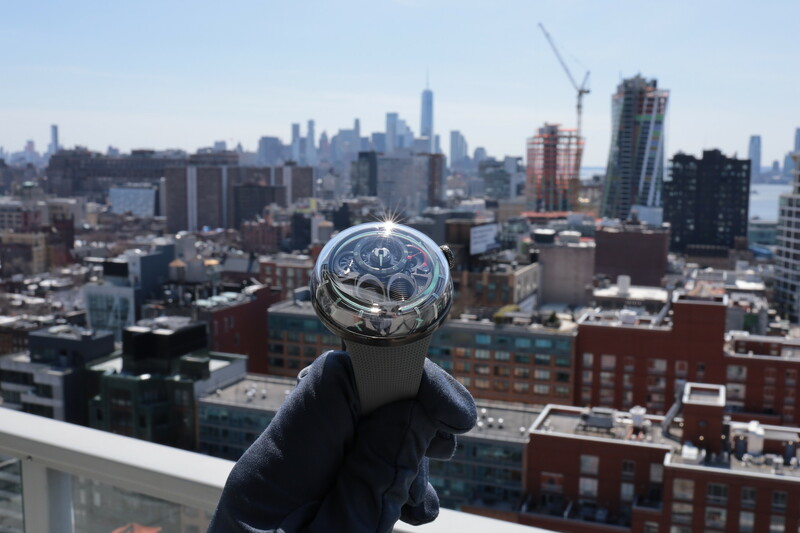 The movement runs a 28,800 vph (4Hz) and features a self-regulating twin barrel, titanium/platinum balance wheel with flat terminal curve, triple parachute shock-absorbing system. Water-resistance is 20 atm. The strap is extra-supple alligator leather with an ardillon buckle. The De Bethune DB22 is an amazing timepiece, and really, so are all De Bethune timepieces. The look, finish and overall quality of each piece is exquisite.